DarkWave Studio is a modular virtual studio for the synthesis of electronic music. It allows you to load various machines such as virtual instruments and effects in VST format and connect them in a modular and straightforward fashion. DarkWave can load VST instruments and effects and it can also load machines using the DarkPlug API, which was custom made for DarkWave. The program currently supports sound output via Windows Sound and ASIO. DarkWave supports multiple processors well, with an aggressively multithreaded audio path that can utilize multiple CPU chips and/or cores. The program is perfectly suited for systems with multiple cores such as the "Core 2 Duo" and "Core 2 Quad" processors by Intel and comparable processors by AMD. Currently support sound output via Windows Sound and ASIO. Support multiple processors well, with an aggressively multithreaded audio path. The following plugins are included with DarkWave: MIDI Input, ES SpatialVerb (Room Modelling Reverb Unit), ES Kick (Rave Kick Generator). 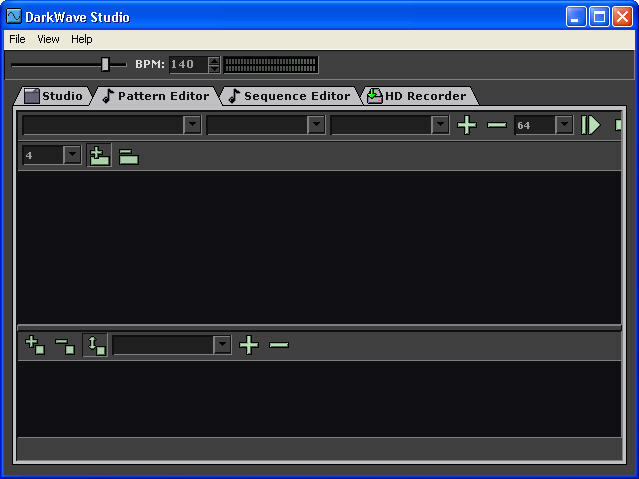 DarkWave is a music creation program with a built in studio, pattern editor, sequencer and hard disk recorder. Organizer MP3 - group songs into albums with fine convers and detailed information. And it can find lyrics on the internet. MorphVOX - an easy-to-use voice modifying application for the Windows platform, Using advanced algorithms and technologies. AV Voice Changer Software - It is a unique program for online and offline real-time voice alteration, Featuring combined advanced Pitch and Timbre shifting algorithms. iPod 2 iTunes - Using iPod 2 iTunes you can transfer music, playlists and video back to iTunes.